I do have to ask why Doug Naylor seems to have devoted his life to bringing Red Dwarf back to our screens. I guess he thinks there is more to tell for the story of Rimmer, Lister, Kryten and Cat. For years, there was no new Red Dwarf but he was behind trying to get a film version of this series produced. This series is his life’s work. Ultimately, it doesn’t matter as it is his business and to be honest I am happy to see these flawed characters make a return visit but as with the rest of the series I do approach it with some kind of bemusement. How will a new series of Red Dwarf come together? Red Dwarf for being a series about the last human alive stuck with a hologram man, a human-like manifestation of a cat, and an odd robot has never been a consistent series. I feel like after Rob Grant left after Series 6 the series kind goes through some kind of identity crisis. The way Series VII was produced and shot plus the type of stories we got were a big departure from what we have seen previously. I think some of it worked and some was a flop. Series VII had some great ideas but we still didn’t have the ship Red Dwarf. We were introduced to an alternative universe Kochanski and we saw the departure of Rimmer. Although still enjoyable it didn’t feel like Red Dwarf to me. Stylistically, it was more like a film than a sitcom. We move on to Series VIII where we see not only the return of the ship Red Dwarf but also all of the crew who were resurrected by overly-active Nano-bots. Not only did we get a crew that has no idea about the tragedy that fell on them over 3 million years ago but we get an all-new Rimmer too. This is important because we get Rimmer but no baggage since he has no knowledge of what happened to his hologram self. 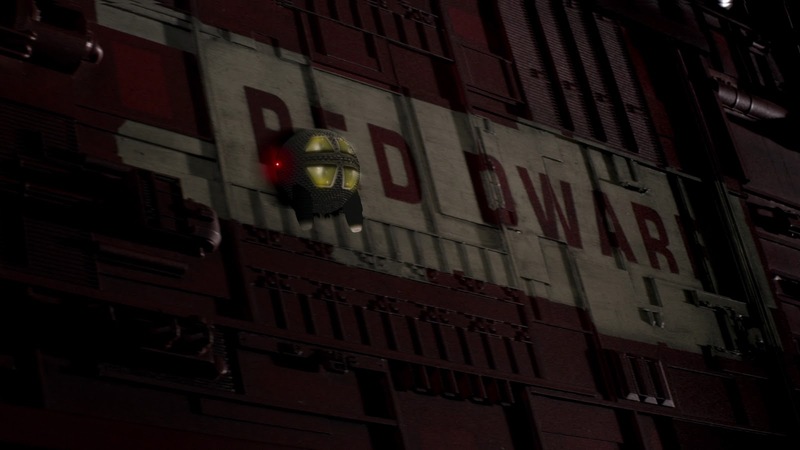 With the crew back on the Dwarf, this series focused more on life back on board the ship albeit in the ship’s prison. It was an interesting premise but one that still didn’t feel like Red Dwarf. The series ended on a cliffhanger that revolved around Rimmer trying to save the ship. The cliffhanger would never get resolved. In fact historically whenever a series of Red Dwarf ended on a cliffhanger, it seemed to signal the series being on hiatus for years. Something similar happened with Series VI. It would be 10 years before we would see the return of Red Dwarf with a special set of episodes titled Back to Earth. 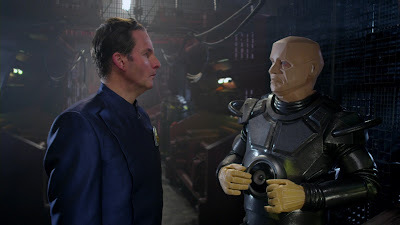 Things have changed substantially since Red Dwarf VIII, Rimmer doesn’t appear to be the same one from Red Dwarf VIII but the return of the hologram character that left in Red Dwarf VII. Also we find out, initially, that Kochanski was dead. Back to Earth tried to bring some of what was essential to Red Dwarf back in the fold yet I am not so sure that succeeded. Maybe what I think is the story of Red Dwarf is different from what Doug Naylor thinks. I thought of Red Dwarf as the relationship of Lister and Rimmer. They have very polar opposite personalities trying to exist together. Rimmer was the last stand of authority for someone like Lister who has no need for authority as he is the last human alive. It was after the transmission of Back to Earth that it was announced that Red Dwarf would return for a full series of episodes. Just like Back to Earth, Red Dwarf X would not be broadcast on the BBC but would be broadcast on the cable station Dave. When I heard that Red Dwarf would be returning, I was apprehensively happy. I always find something enjoyable about Red Dwarf but how would Series 10 stack up? Obviously there was only one way to find out. Series X of Red Dwarf is actually pretty good. It’s not great and it is by no means the worse. For me it falls in the middle. I am an inconsistent soul myself, just like Red Dwarf, where even though it would appear their best days have passed by; I still want to see them make new Red Dwarf. When the series is at its best, it is hilarious and when it’s not cohesive it can be abominable. With Series X it is clear that Doug Naylor is just trying to recapture what makes this series fun. Having the four main characters together makes that a pretty easy chore to tackle. I find Chris Barrie, Craig Charles, Danny John-Jules, and Robert Llewellyn just as good as they ever have been. Yes they look older. You may wonder why an android has wrinkles under his eyes but who cares? We are given another 6 episodes of Chris Barrie, Craig Charles, Danny John-Jules, and Robert Llewellyn in Red Dwarf. One thing I keep thinking of is I can’t believe these guys (minus Llewellyn) have been playing these parts since 1987. Judging by the comments Craig Charles made in the making of, We’re Smegged, I don’t think he believes it either. There is also the fun of being on Red Dwarf, the ship, itself. It is clear that the ship is getting older. It is fun that these characters interact with the ship by just living in it. For example, when Lister seems to be flirting with the Snack Dispensers in the episode Dear Dave. It’s silly but it’s fun. It gives us a further glimpse into how pointless and boring their lives are just wandering through space on Red Dwarf. I think the episodes themselves are generally pretty strong. My problem is when I watch any series that was once popular come back; my first thought is whether it is relevant to the new people watching it. At this stage with Red Dwarf and 10 series in, there is going to be some continuity and with something as continuity heavy as Red Dwarf, some of this background might leave new viewers scratching their heads. Hopefully that was not a concern for Doug Naylor or the channel Dave. For me, probably the one where I had to stop and think about where the continuity came from was the second episode Fathers and Suns. The episode plays off the knowledge of Lister leaving his own infant self under a pool table in a box to be found by other people. That episode was from a Series VII episode called Ouroboros. It’s a weird episode where Lister is listening to recorded messages he made to himself just the night before while he was drunk. These drunken messages is speaking to Lister in a fatherly tone and deriding him for not living up to his full potential. It’s an interesting, if not strange story. Although I think the premise is rather odd, Craig Charles really does an amazing job on it. In Red Dwarf X there is no Holly. Holly was the ship’s computer played by Norman Lovett (Series 1,2,7,8) and Hattie Hayridge (Series 3,4,5). Holly is very much missed in these episodes and we don’t get a real answer as to what happened with Holly. In this episode, Rimmer and Kryten try out a new computer mainframe named Pree and right from the start she is bad news for the crew. She can anticipate conversations which makes having them altogether unnecessary. She fixes one of the decks to the quality Rimmer would which of course means the repairs are horrible. She does this because she anticipates how he would requests the repairs to be done. The opening episode to Series X is a good start but is let down by some hammy acting. The episode called Trojan is a great start to the series which re-establishes the characters we love. 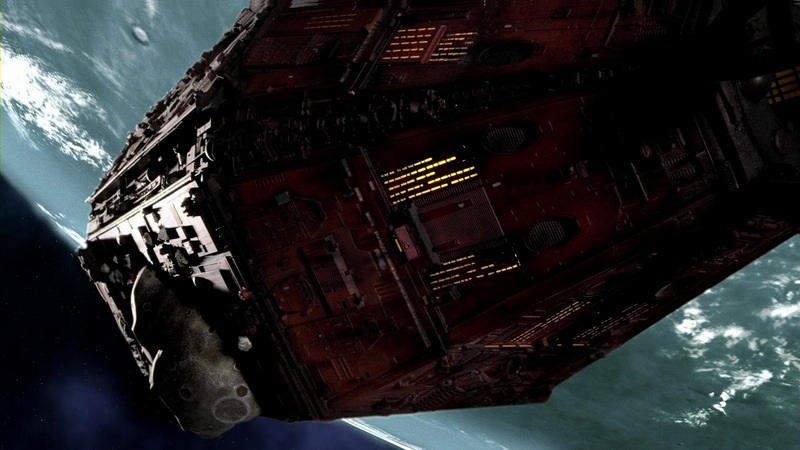 The Red Dwarf crew finds an old derelict ship called the Trojan. While on board the ship, they get an emergency may-day rescue request to save someone. This someone is no other than Howard Rimmer, Arnold’s brother. Mark Dexter plays Howard and I found the performance to be Hammy, just the way he plays the part was kind of generic and not really funny. I would also say the same for the character Simulant Crawford in the episode. In fact, I would say the general on screen supporting cast for the entire series was not great for the most part with some exceptions. Probably my favorite episode of Series X is Lemons. 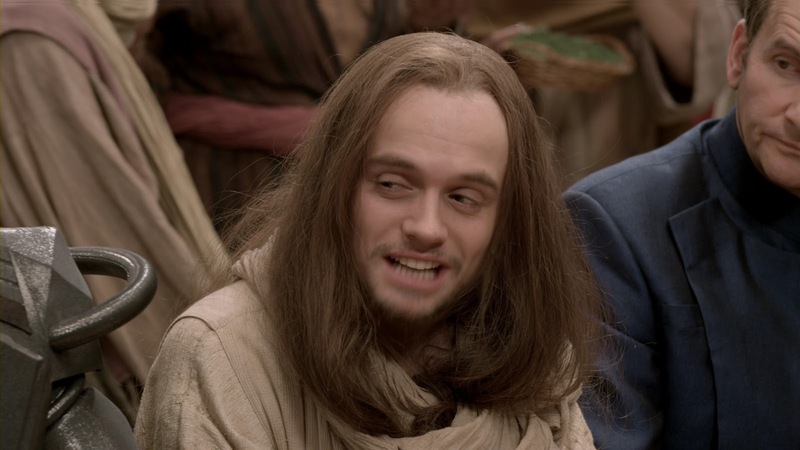 It involves time-travel, ingenuity on the part of the Red Dwarf crew and Jesus. It’s fun and James Baxter who plays Jesus does so in a very subtle performance. When he needs to be over the top he is but otherwise plays the part well. The script is crazy and fun; there are parts that are hilarious. It’s a very strong episode and one that I think should have started off Series X. Entangled is also fun. I hate terms like “this is classic Red Dwarf” but I don’t know how else to explain it. This episode involves Rimmer enforcing Red Dwarf rules upon Lister. Lister is completely irresponsible and his irresponsibility directly affects Rimmer. This is exactly what I am talking about above, this is why I think Red Dwarf works so well and it is so much fun to watch. We see an appearance from Steven Wickham playing the BEGG (Biologically Engineered Garbage Gobblers) chief. He last appeared in Red Dwarf in Series VI Emohawk: Polymorph II as the Gelf Bride. Dear Dave and The Beginning are more personal stories for Lister and Rimmer. In Dear Dave, Lister gets mail from millions of years ago from an old girlfriend who thinks she might be pregnant with Lister’s child. It is a very heartbreaking moment for him as he doesn’t know if he has a kid with this girlfriend or not. In The Beginning, Red Dwarf is under attack with the crew needing to go on the run from a Simulant Death ship. Rimmer takes with him a device that will show Rimmer a hologram message from his father. Is this really the right time to play it? There is good reason why this episode is called The Beginning and hopefully opens up the character of Rimmer to different possibilities. Of course, this title is also noteworthy since the first episode of the first series was called The End. This is a must-see program! 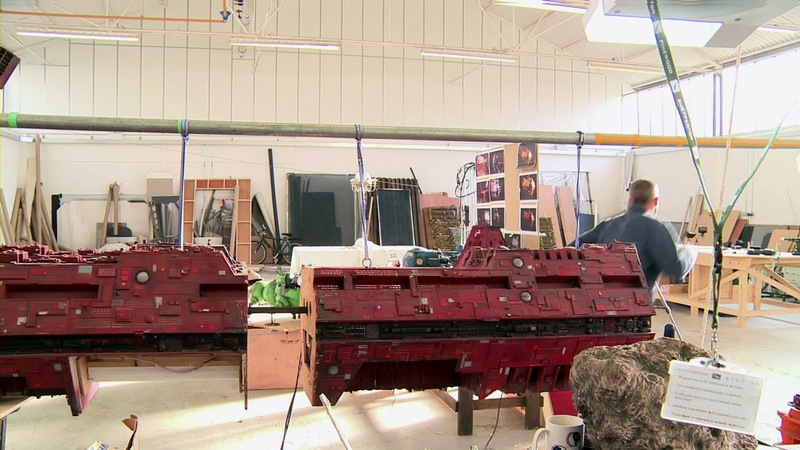 Running in at just over 2 hours, this is a great and brutally honest look at the making of Red Dwarf X. The first immediate impression you get is that they are behind the gun just from the very start. Even before anything really got going. Doug Naylor is given the choice from the outset of working with a greatly reduced timeline to get the series made or not make it at all. As someone who works in film production (obviously, nowhere near his level), it is easy to get ridiculously behind on a schedule that has a lot of time but to start off behind the gun like that is crazy. It talks about how Doug Naylor really wanted this series shot in front of a live audience. We get great behind the scenes shots of setting up the main sets and how the whole studio was laid out. We get a glimpse of setting up for the audience to come in and watch. 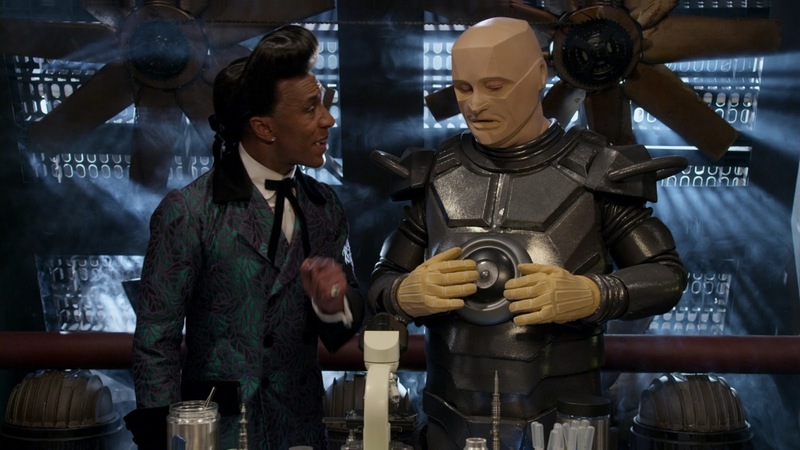 What I found funny was the shooting crew who were lamenting the fact that for a show as technical as Red Dwarf that they were going to record in front of an audience yet that was generally how it always was made! The show was technical and complex back then too. I wish there was more energy from the studio audience but it appears that the script for some episodes were not completed by the time they went in to shoot episodes so some stuff was done after the initial recording and an audience was brought back in to watch the finished episodes and add their laughter to them. Back to Earth did not have laughter of any kind on the episodes and I felt like it suffered from it. 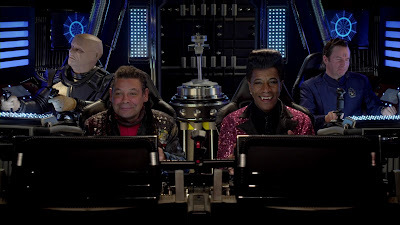 Red Dwarf needs laughter on the episodes and I am glad it’s back. 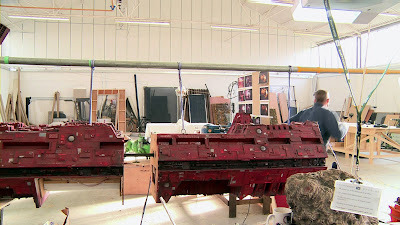 Possibly the biggest surprise for me was during this making of feature was that all the ships we see in the episodes are real models opposed to all being done on computer. This includes Red Dwarf itself. I remember watching the episodes and thinking how amazingly real Red Dwarf ship looked thinking it was a CG model. Like everything else on this series, shooting the models were a pain and they needed to do this twice. It was nice to see the Red Dwarf model. I think this was the model that they made for Red Dwarf VIII. Unfortunately, the model of the ship was super long, possibly because the Nano-bots made Red Dwarf way too big when they rebuilt it. Because the ship was too long, Doug Naylor had the effect guys cut out a section of the model. That was painful to watch and hopefully that section was retained. Finally we get a great insight into the costumes designed by Howard Burden who had been doing this for Red Dwarf since 1989. He is great at it and clearly loves it. Even Howard Goodall returned as composer of the music. 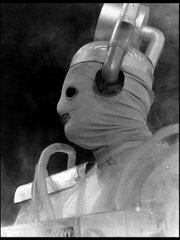 He was music composer on the series from Series 1 – Series VII. The making of extensively covers the making of all 6 episodes of the series and actually almost outshines the episodes themselves as a highlight on this set. This is what it says. A nice collection of scenes omitted from the finished program. Some of the scenes make sense as to why there were cut, others probably cut due to time. There is a nice scene that has Rimmer explaining to the Medibot that he has dyslexia. We see how the Medibot deals with him. There is also a look at the original end credits footage that were supposed to be like the Series 1-5 end credits of the camera going up and over the ship. This would then have credits rolling over it. It would have been great to have the credits look this way again but after seeing the footage, it is obvious why it wasn’t used. How it was made is incorporated in the “Making Of” feature. Smeg Ups are outtakes. I love the term Smeg Up as it is a terminology that the Red Dwarf franchise completely owns. It’s great and these are fun. I am not a huge fan of outtakes but when watching these, pay close attention to the camaraderie between the cast. That is a lot of fun to watch. I may need to pull out some of the older sets and watch those collections again too. This is shot and produced in 1080p 16:9 HD. It looks great. There is some talk on the “Making Of” feature how they had problems with the footage but the episodes look great. The only thing which lets it down a little is the end credits. They are juddery and very difficult to read. I assume it is the conversion from 50i to 60i. Other than that, it all is quite nice looking. I watched this from the 2-disc Blu Ray set. It comes in the standard double Blu Ray case. I really like the cover for this set. It is so much better than the uncreative effort that came with Back to Earth. What I have been appreciative of is the style of the covers are very similar to the original DVD sets. Look at the back cover and it fits in nicely with the rest of the range. Yes, I am one of those types of fans. I think this is the closest I have seen of the Red Dwarf that I have wanted to see for a while and enjoyed since Series VI. It’s easy to be critical of it on the surface because time has moved on but that’s not fair to this production. A lot of hard work went into this series and the Blu Ray/DVD set is a wonderful value for money. If you are a fan of the series and are unsure to give this a go, I think it is worth it. It’s fun to watch them again and there is some genuinely funny laugh out loud moments. You have no reason not to get this if you bought Back to Earth. In my opinion, this is massively better than that. Upcoming DVD/Blu Ray Reviews: Doctor Who: Shada/More Than Thirty Years in the TARDIS, since I have just seen them possibly reviewing the two animated episodes of Doctor Who: The Reign of Terror. Later this month, I will be reviewing Agatha Christie Poirot and Marple Fan Favorites Collection where I am shocked about Murder on the Orient Express! This week: I go back to some British comedy that doesn’t get seen a whole lot. I think that would have been a different story if more episodes existed and got over here on PBS. I look at 2 episodes from All Gas & Gaiters: The Bishop Shows His Loyalty & The Bishop Has a Rest. How dare you be completely correct in your assessment of Red Dwarf! I have always felt that the earliest was the best and really fell off after series 6. Back to Earth was pretty dismal but X was more successful, although nobody will mistake it for anything from the first 4 series. I plan on getting the BluRay at some point, and the Making Of sounds really good. Eventhough it shouldn't work this way, I think the making of really made me appreciate Series X better! I also think everyone looked younger in the Making of more so than they did in the episodes. 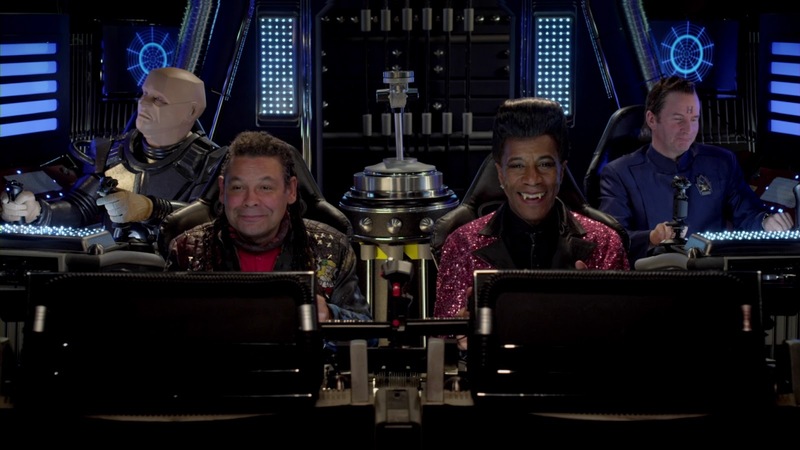 I thoroughly enjoyed the return of Red Dwarf X, I really found it lived up to the original series unlike the awful Back to Earth. I was concerned when it was announced it was returning but the cast made it work once again.